Should I endorse people on LinkedIn? Are endorsements of any value? How do Endorsements differ from Recommendations? Thanks for connecting with me. I have validated and endorsed your skills. can you please do the same for me for the following skills ? I’m happy to connect with you. While I appreciate you endorsing me, I hope you did so because of my posts and blogs where I do give career and leadership advice. I only endorse people whose work I am familiar with. Otherwise the endorsement is meaningless. So I won’t be comfortable endorsing you. My best wishes in your career! I fully appreciate & respect your frank opinion. No Problem. It is a personal choice by individual. God bless you, your career and your family. My take on Endorsements is that they are only meaningful in bulk. I have more than 99 people endorsing me for specific skills, so that looks like I must be an expert in those areas. Does it mean I don’t have expertise in the skills I have fewer than 99 endorsements? Not necessarily. LinkedIn suggests to your connections the skills they could endorse you as having. If you haven’t filled in all 50 of the skills you want to be known for, LinkedIn’s algorithm will suggest skills it thinks you could have based on the other skills you have and your profile. Sometimes it’s right, often it’s wrong. One client was endorsed for film editing, when she works in television as a producer. It’s kind of related but she doesn’t have that skill. Endorsements are useful as key words by which recruiters can search for and find you. So by all means get them organically through the LinkedIn prompts to your 1st degree contacts. 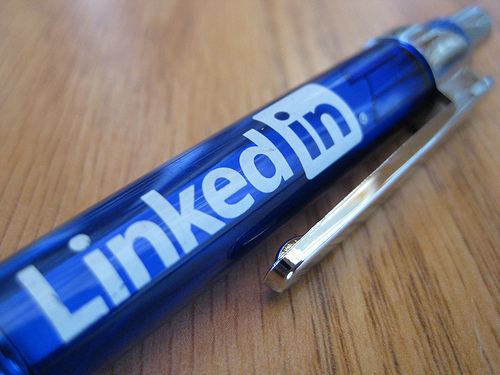 Just realize that they are not the most meaningful part of your LinkedIn profile. Endorse who and what you know. Your first degree contacts will be prompted to endorse the skills you think you have. Do they really know you have those skills? Possibly. And you’ll be asked to endorse your first degree connections. Do you really know what they do well? If you do, then by all means endorse the person. Please don’t expect them to endorse you in return. The fact that this person endorsed me based on virtually no knowledge of me undermines the validity of the endorsements of people who DO know my work. I won’t endorse anyone I don’t know. I may be alone in this. Yet if enough of us stopped making meaningless endorsements, they might begin to mean something. Recommendations, on the other hand, are VERY meaningful. People have to actually go through a process of writing (or editing) a recommendation and sending back to you. I love both receiving and giving recommendations. They provide a soft “reference check.” Soft, because most of us will post only positive recommendations. Yet a reference check all the same, because if you have at least 3 recommendations, a reader can spot a pattern. I advocate asking for 3 recommendations, because 1 is an accident, 2 is a coincidence and 3 is a pattern. Ask a former boss or colleague – people who know you well and who will say good things about you. Give in order to get! You can draft a recommendation to make it easier for someone to give you one. Try to get one for each of your most recent positions (within the past 7 years). Get more than one per position. The best way to get a recommendation is to give one. Turnabout is fair play when it comes to recommendations. Recommendations give your endorsements some context. People can see that the skills you have are backed up by recommendations. Recommendations also support the claims you make in your summary and your work experience. Use endorsements as a springboard to getting meaningful recommendations, rather than being a destination of its own. PreviousHow to Answer “What’s Your Greatest Weakness?